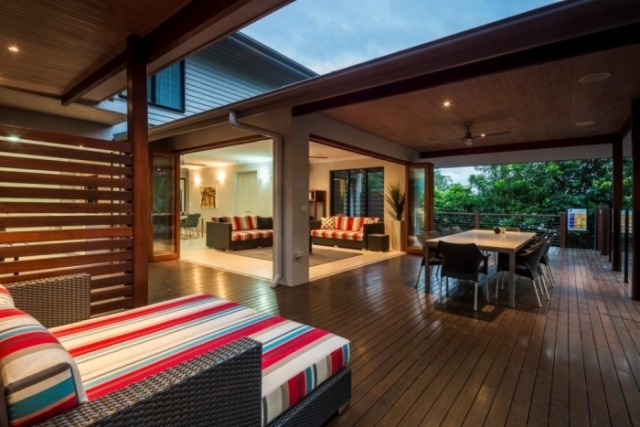 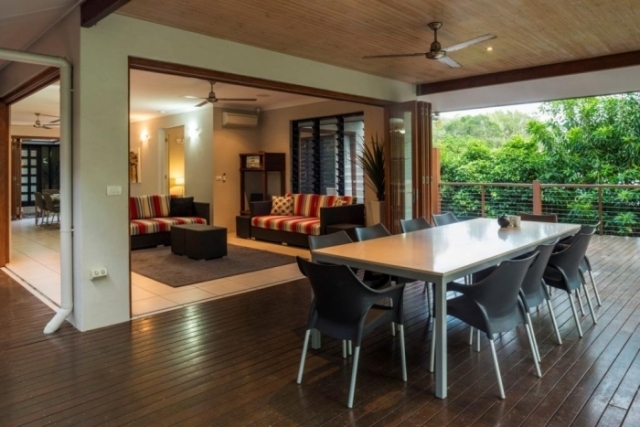 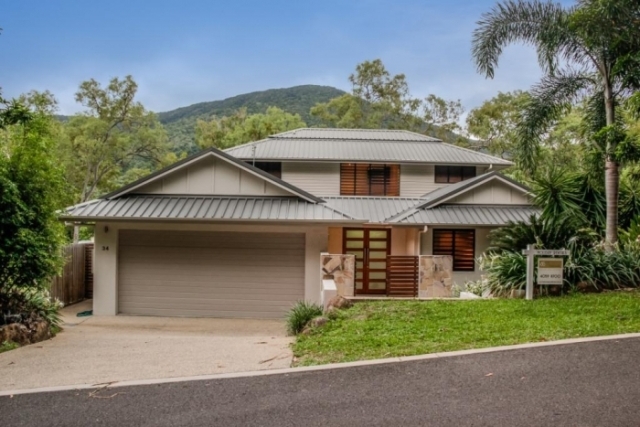 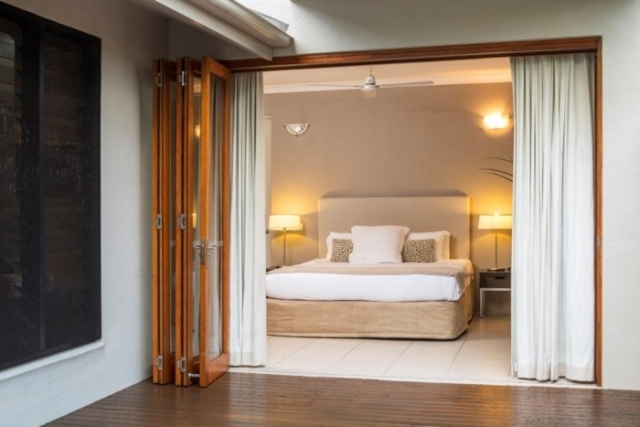 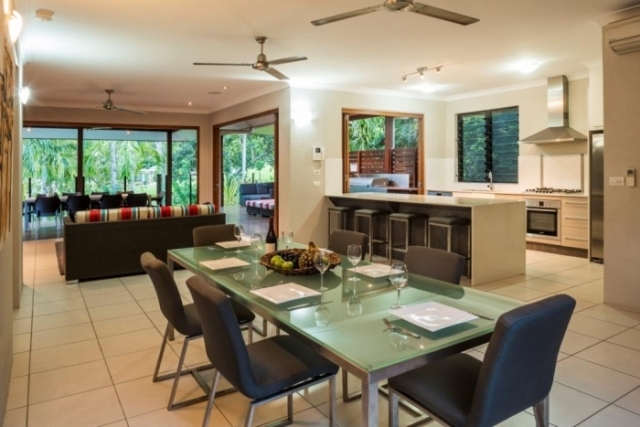 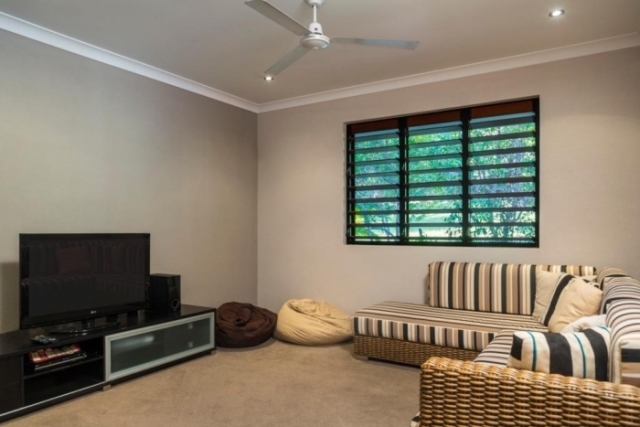 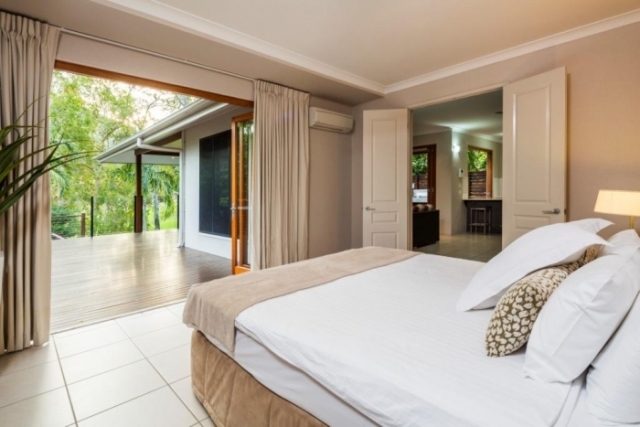 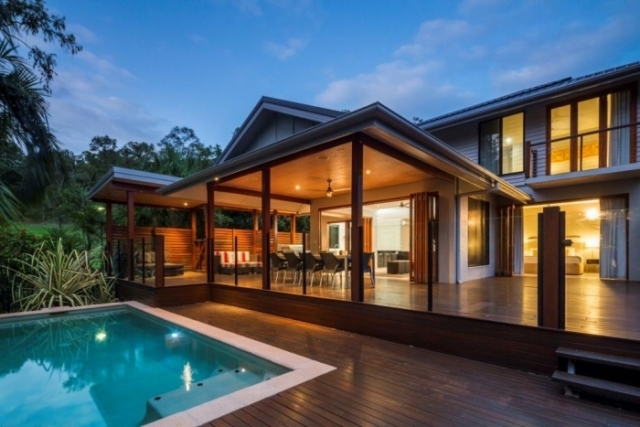 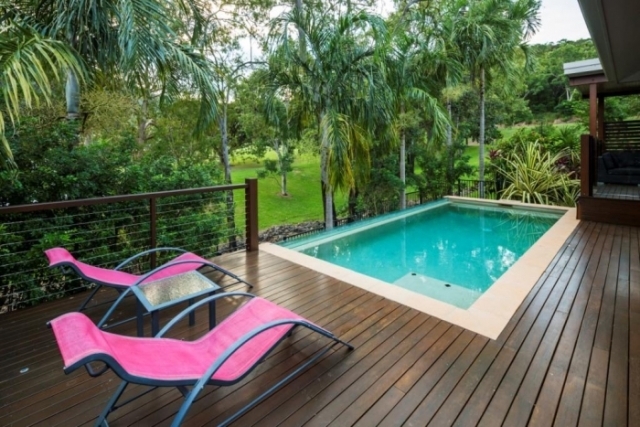 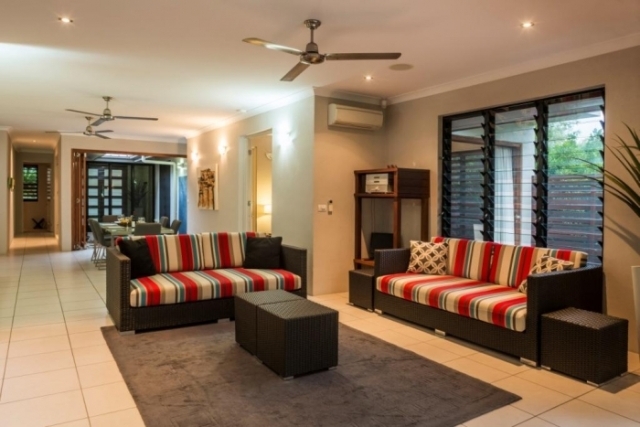 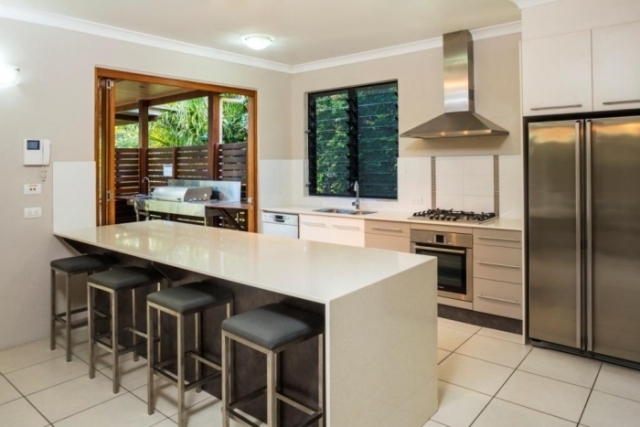 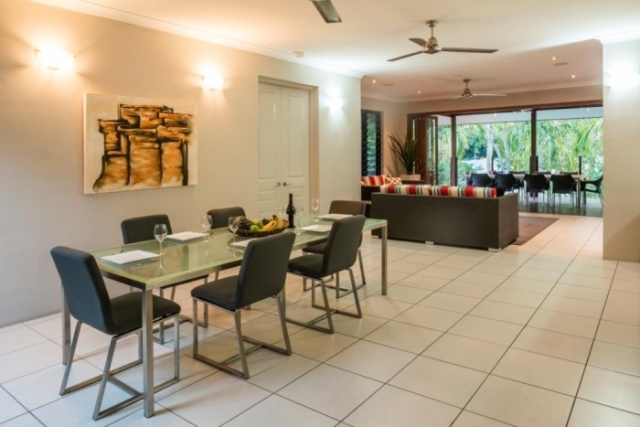 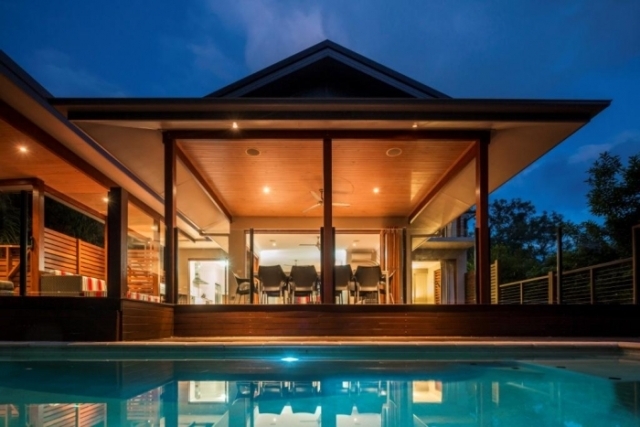 Trito - Luxury Private 4 bedroom Holiday House at Palm Cove. 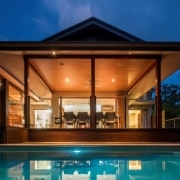 This award nominated 4 bedroom villa provides the perfect environment from which to enjoy a family beach holiday. 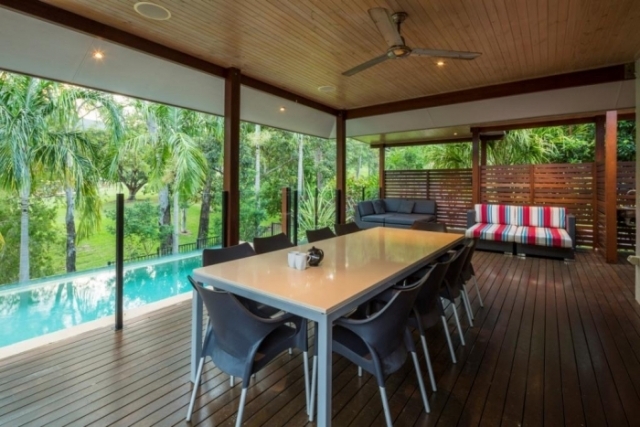 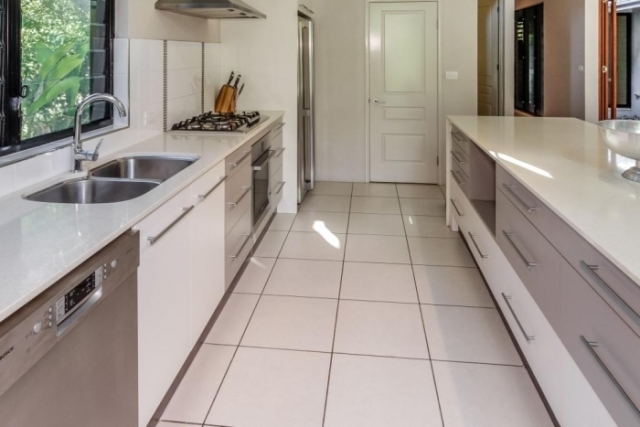 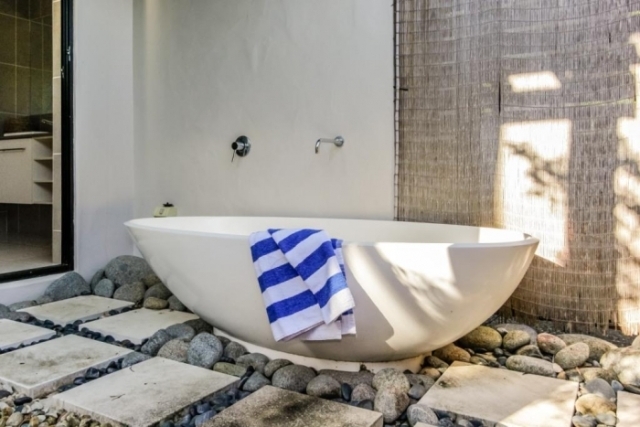 Privately owned, the villa has a free flowing kitchen, living and dining area that opens out to an expansive child-safe deck and swimming pool. 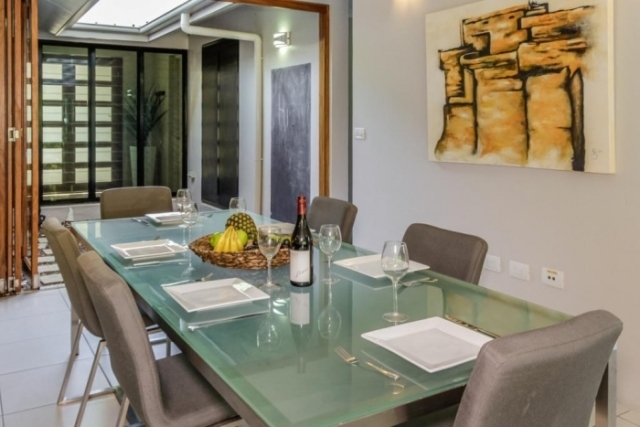 The 10 seater dining tables (indoor and outdoor) provide ample space for one or two families with easy entertainment options. 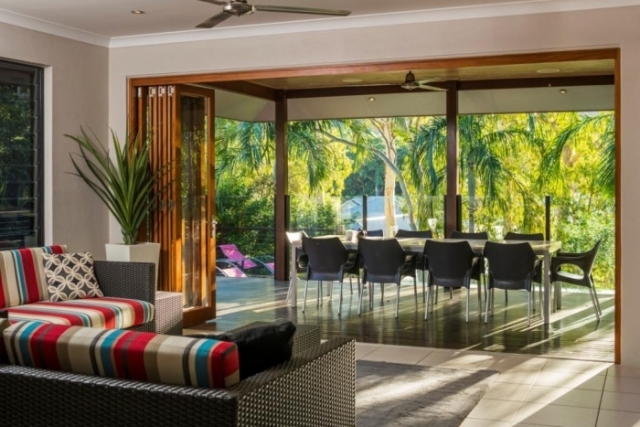 The architecturally mastered indoor courtyard ensures a through breeze keeps the villa cool and is designed as a children’s play area with pebble games and a chalk board. 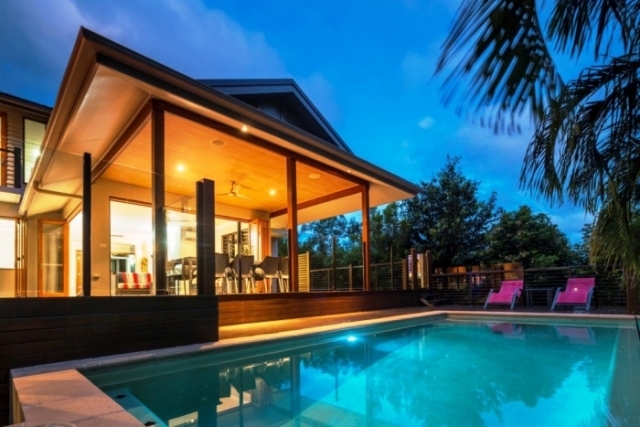 Free use of Oceansedge Sport Centre tennis courts, gym, lap pool. 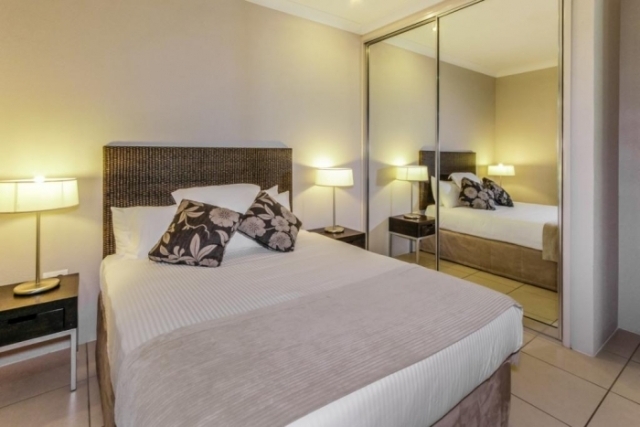 Bike hire available. 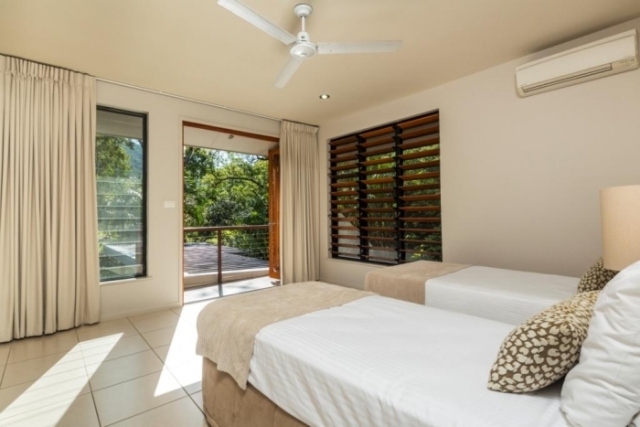 Second bedroom with a queen bed; the second bathroom with shower. 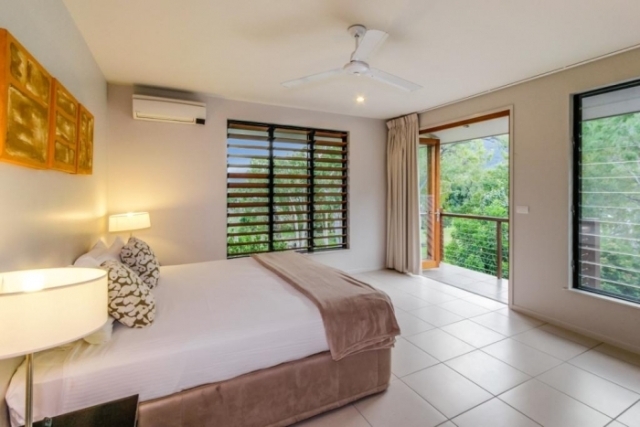 Bedroom three and four can be either king beds or twin singles, both with bi-fold balconies and views of the mountain ranges. 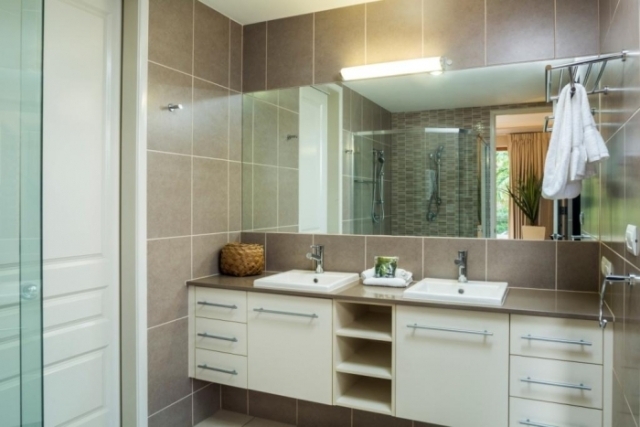 The third bathroom has a separate bath and shower. 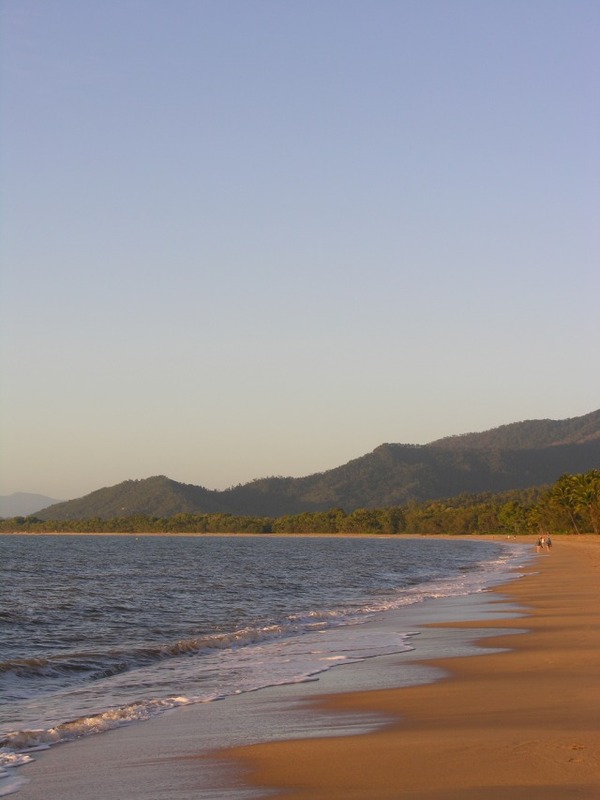 Palm Cove Village is a fun and relaxing beach front filled with café life, alfresco dining, boutiques and galleries. 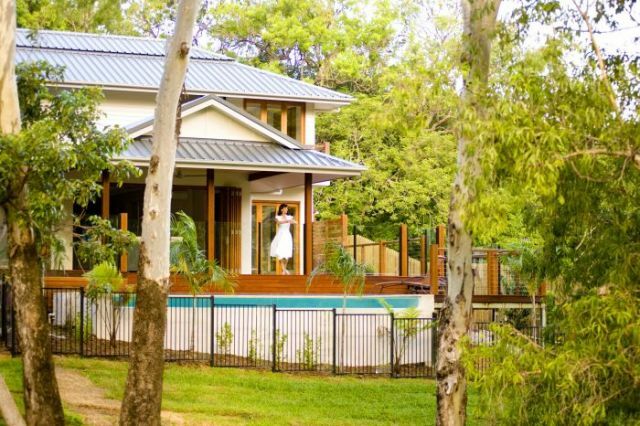 The surrounding areas are home to the regions top golf courses and easy day trips to Port Douglas (40 min), Atherton Tablelands, Northern beaches, Daintree rainforest, Mossman Gorge, the Great Barrier Reef and much more.